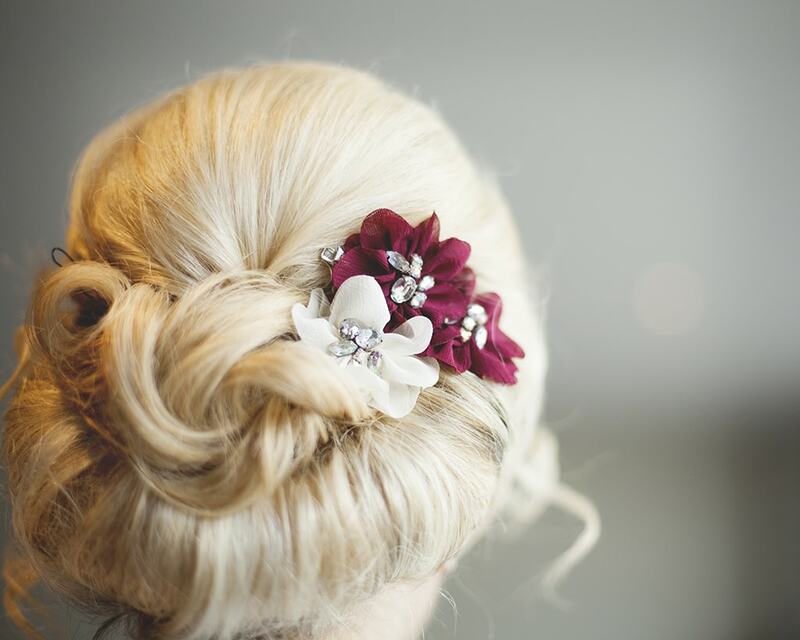 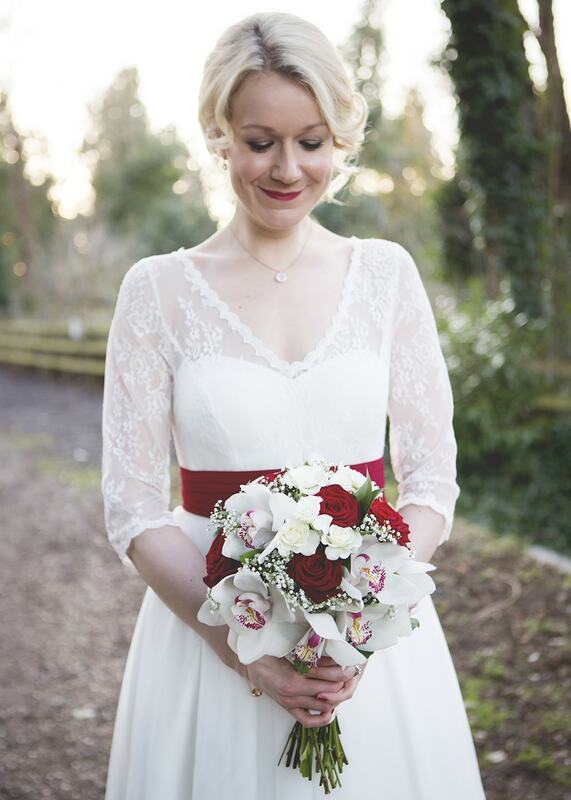 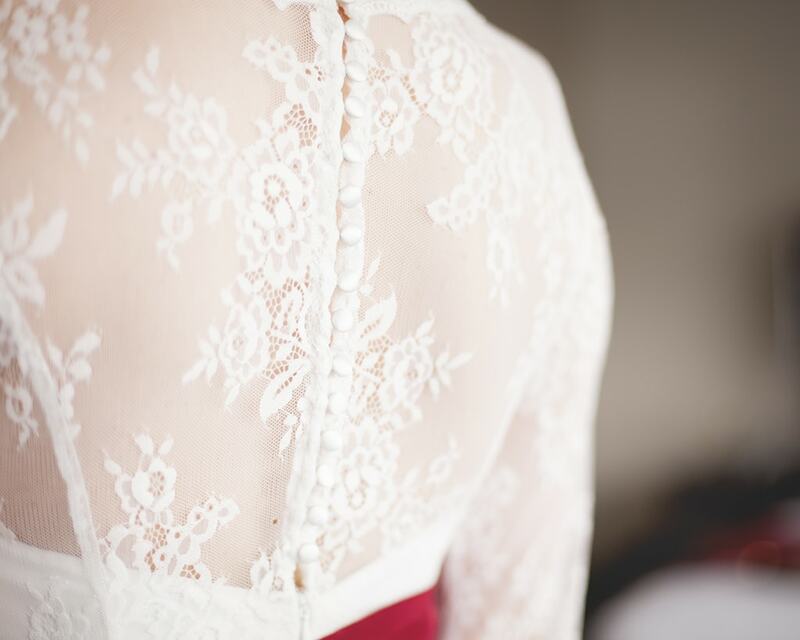 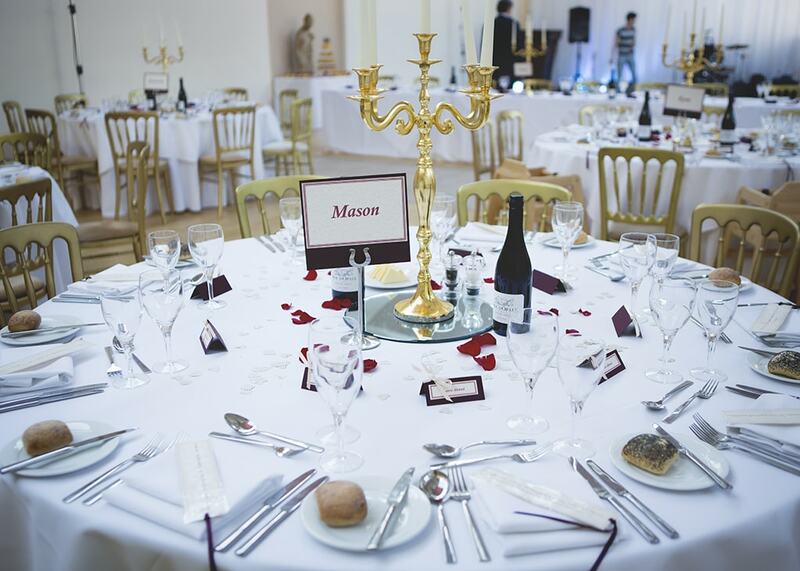 Today I am delighted to share this pretty Jane Eyre inspired Wedding with beautiful merlot details. 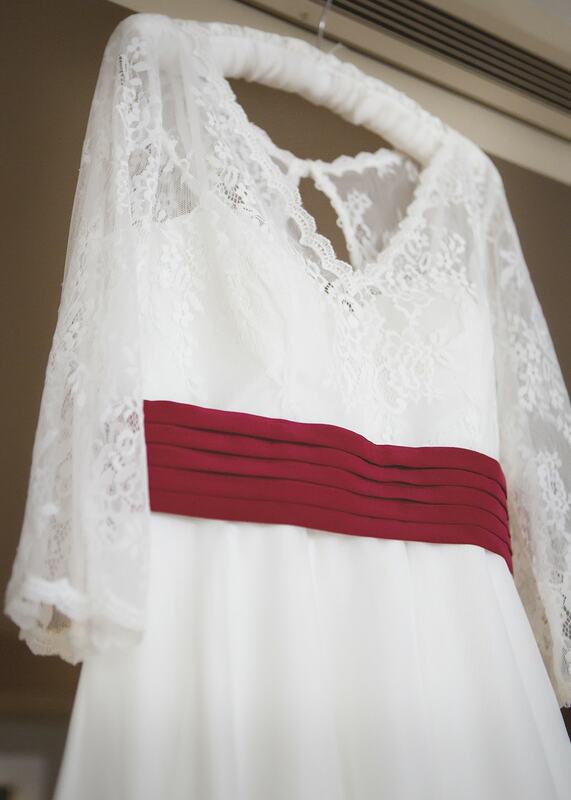 Images were captured by Katrina Matthews Photography. 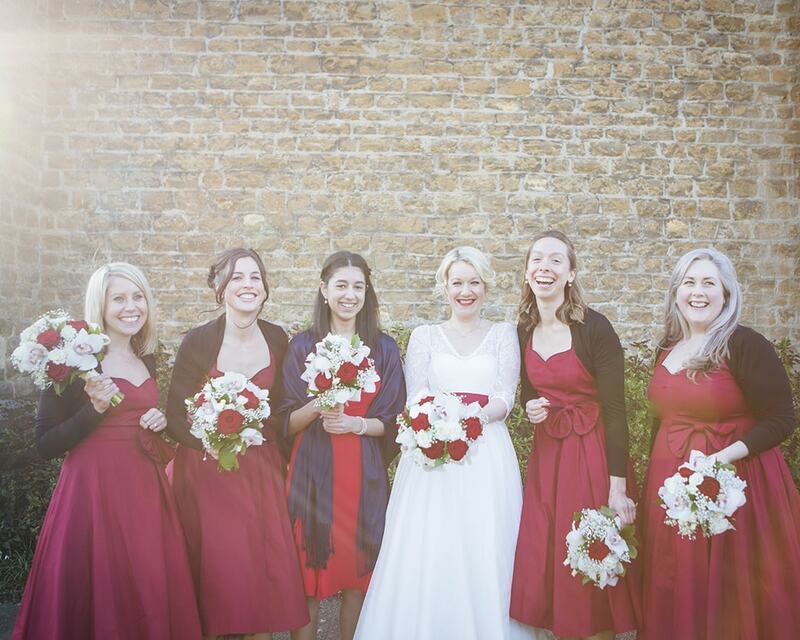 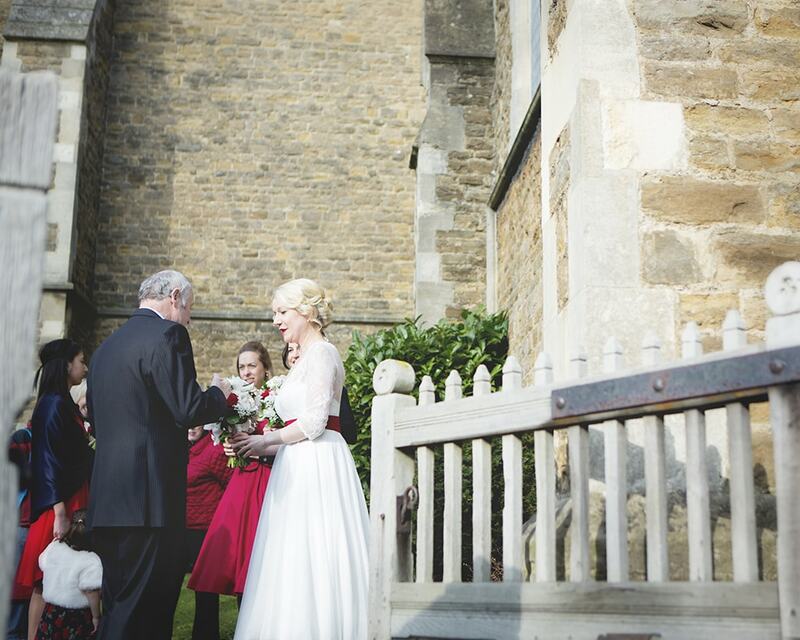 Katrina Matthews is a professional photographer based in the Hertfordshire/ Buckinghamshire area. 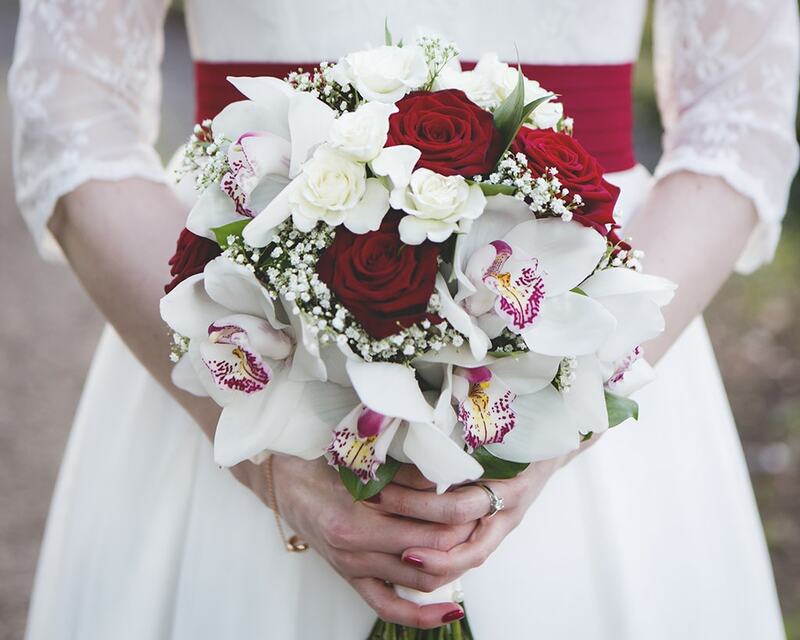 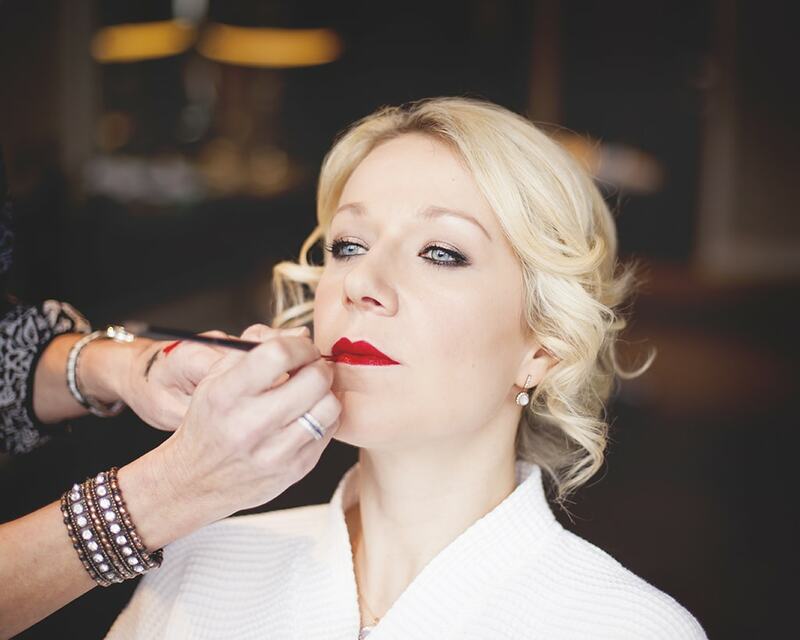 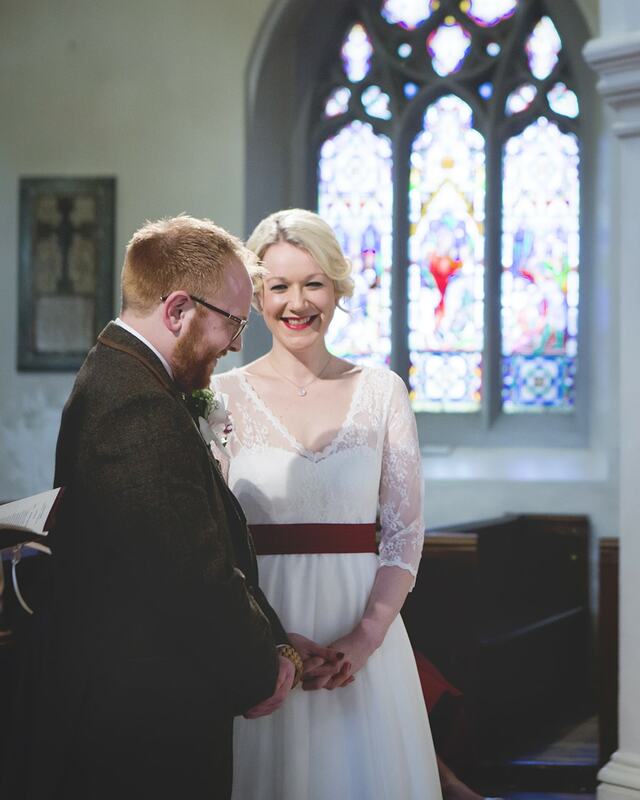 She offers natural and relaxed wedding and portrait photography, capturing the most important moments in your life. 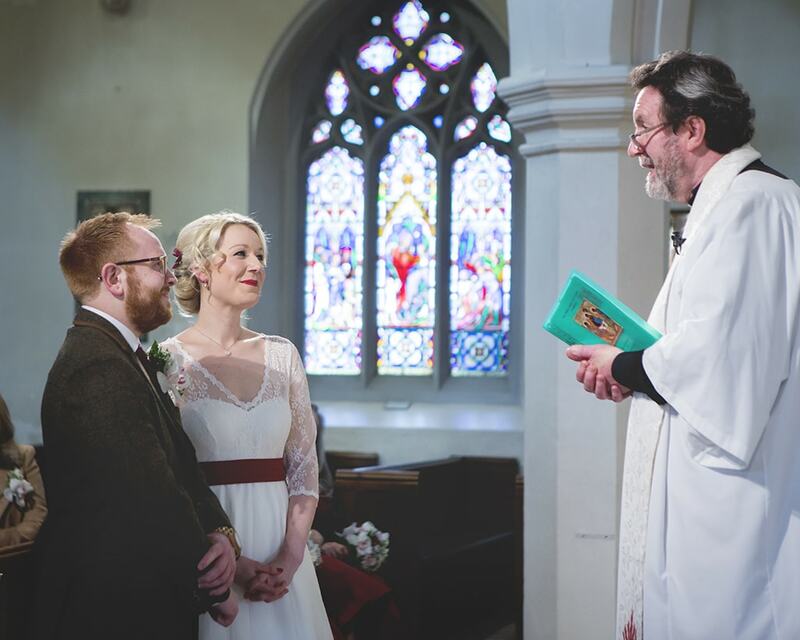 We met at work; I was directing a production of ‘Jane Eyre’ and Chris was the Technical Manager. 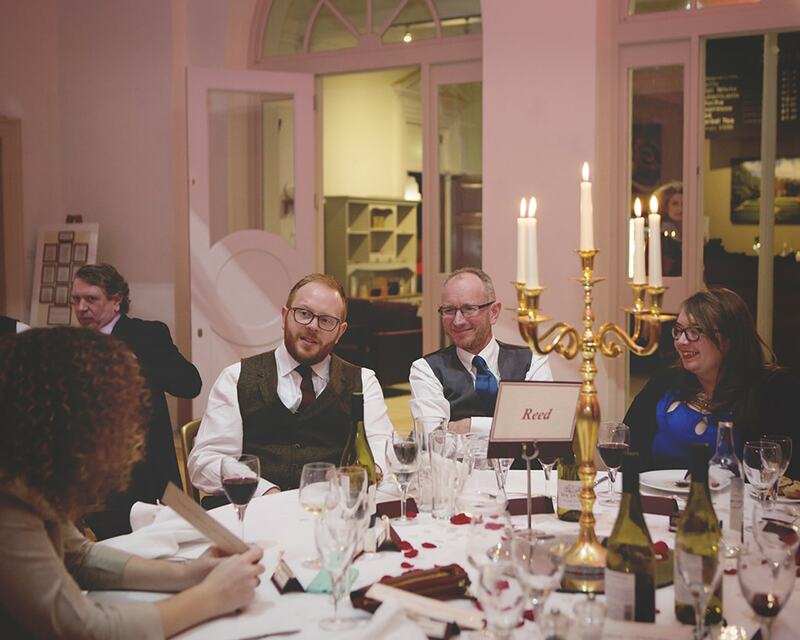 We first got talking whilst painting the set together. 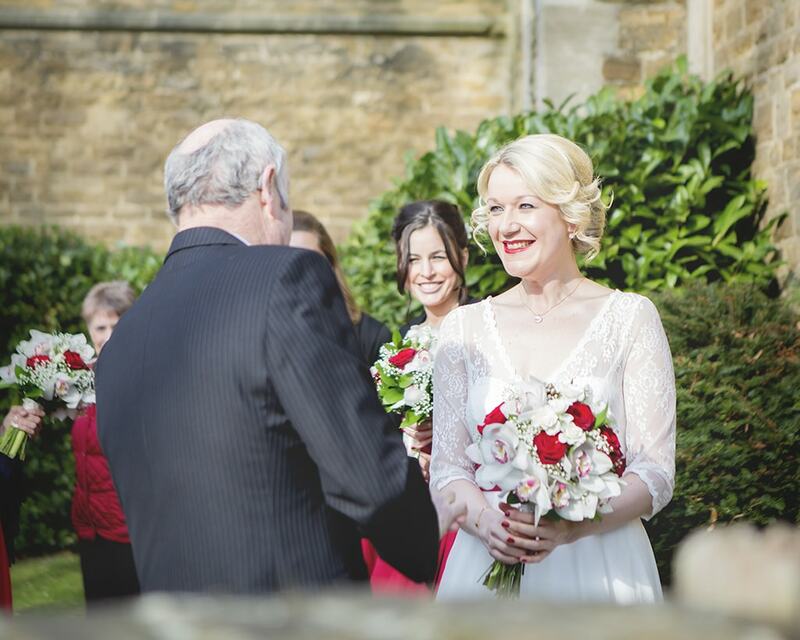 We were staying at Ettington Park Hotel for a romantic break before Christmas. 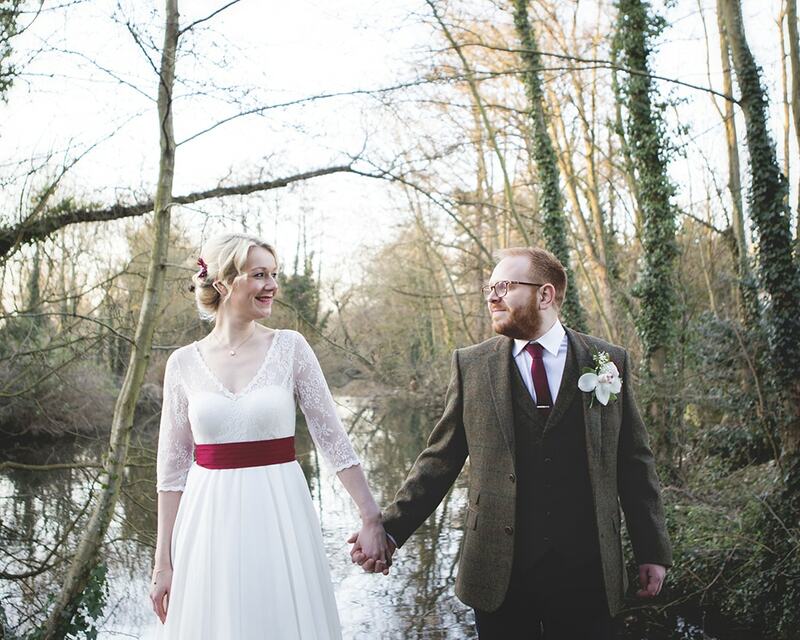 After dinner, Chris suggested we go outside and have a walk around the grounds. 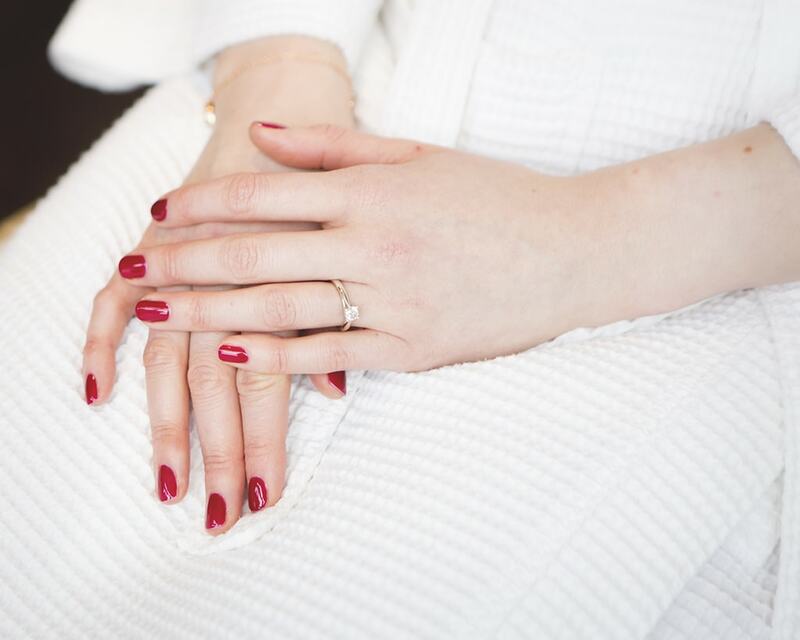 Within minutes, he got down on one knee, pulled out the ring and asked me to marry him. 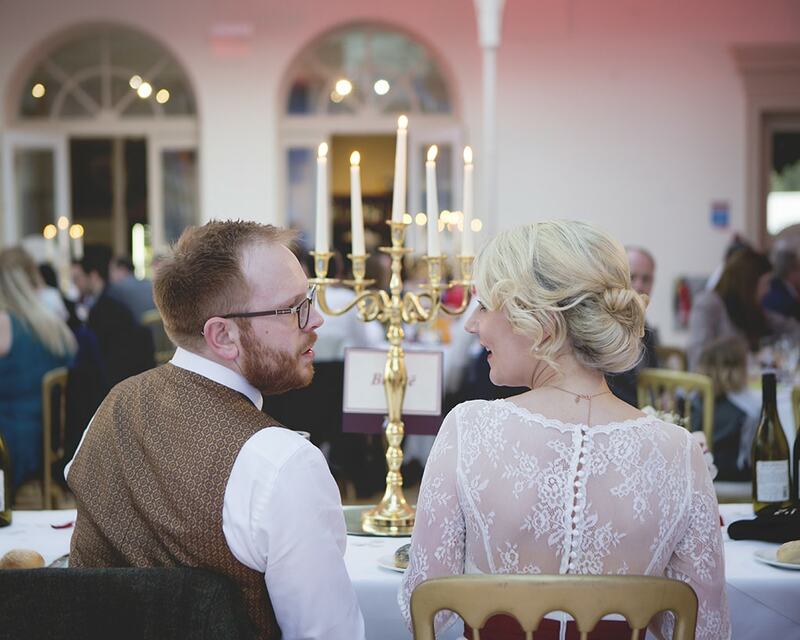 Relaxing and enjoyable; planning our wedding was very much a joint effort. 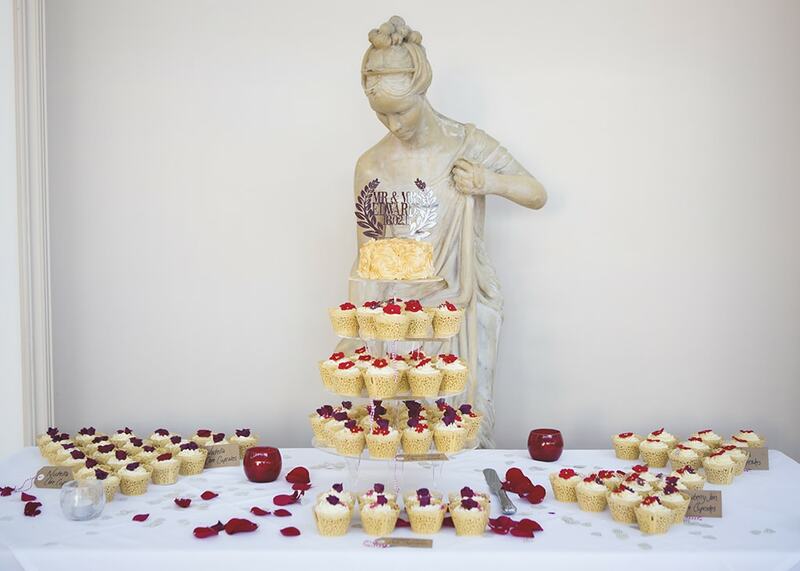 We knew we wanted and set our budget right from the start. 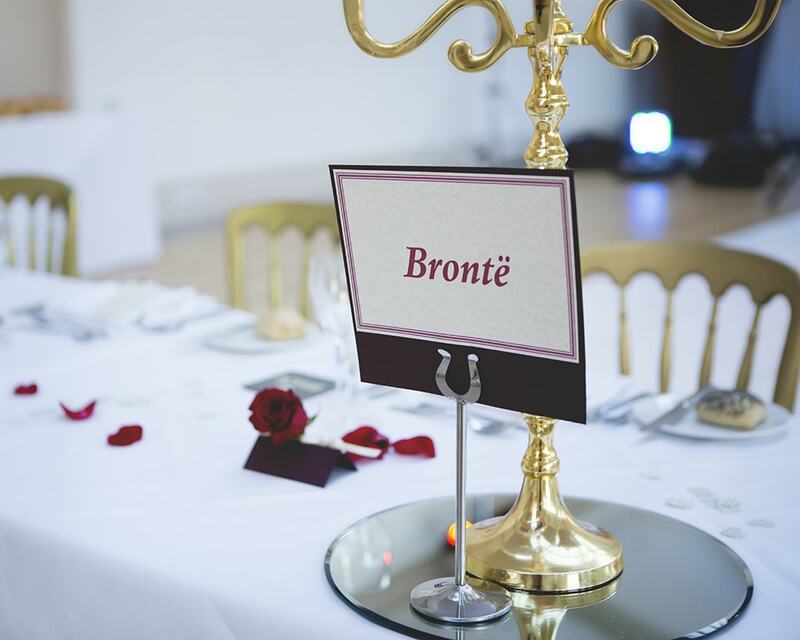 We wanted a venue and theme to reflect our mutual interests (theatre and literature) and friends and family volunteered to be involved. 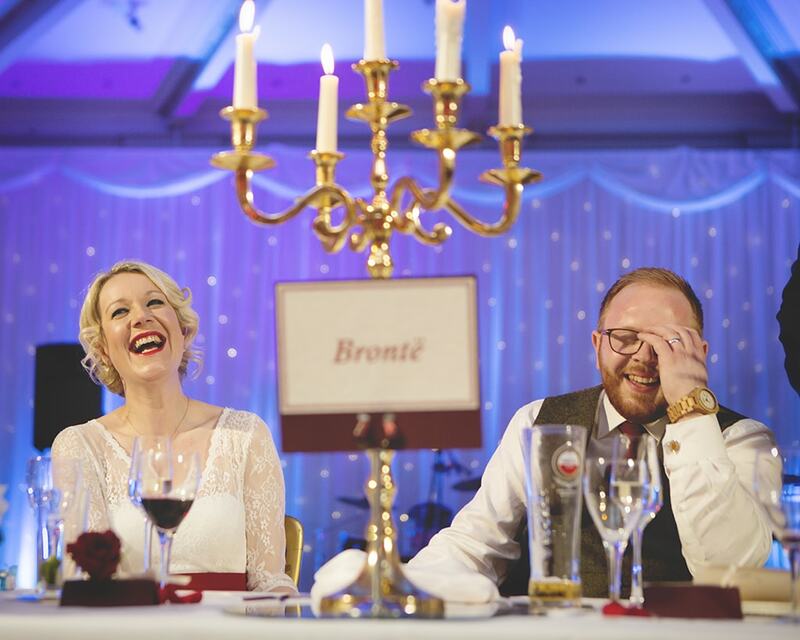 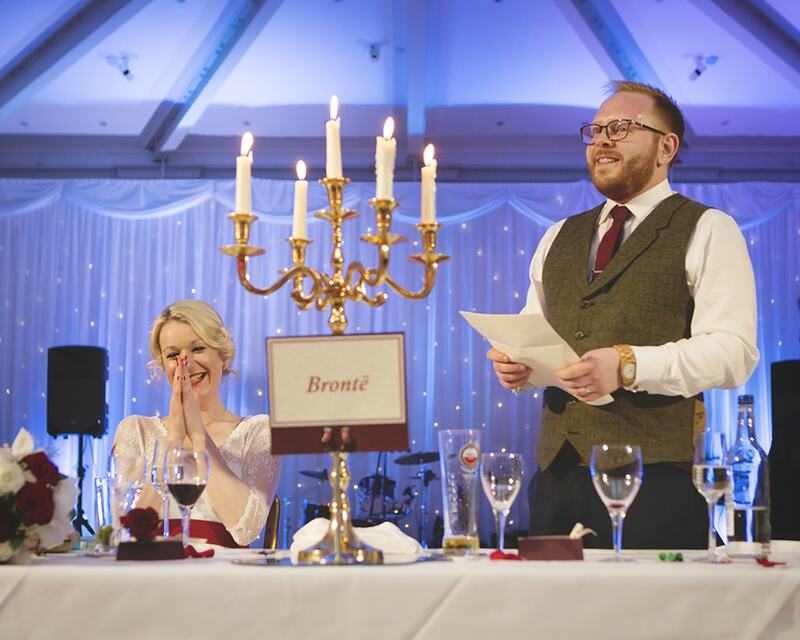 Because of how we met, we went for a ‘Jane Eyre’ theme for the stationery and decorations and the colour scheme was merlot; our favourite wine. 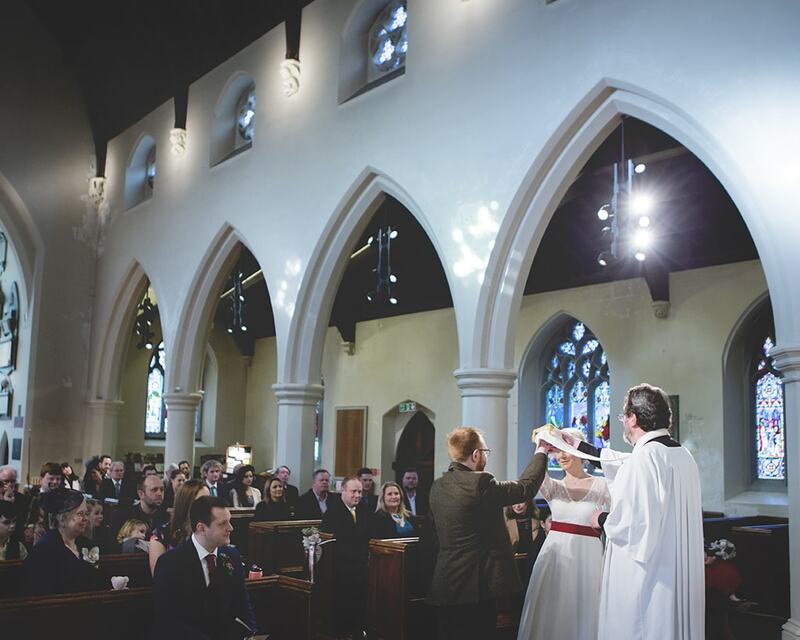 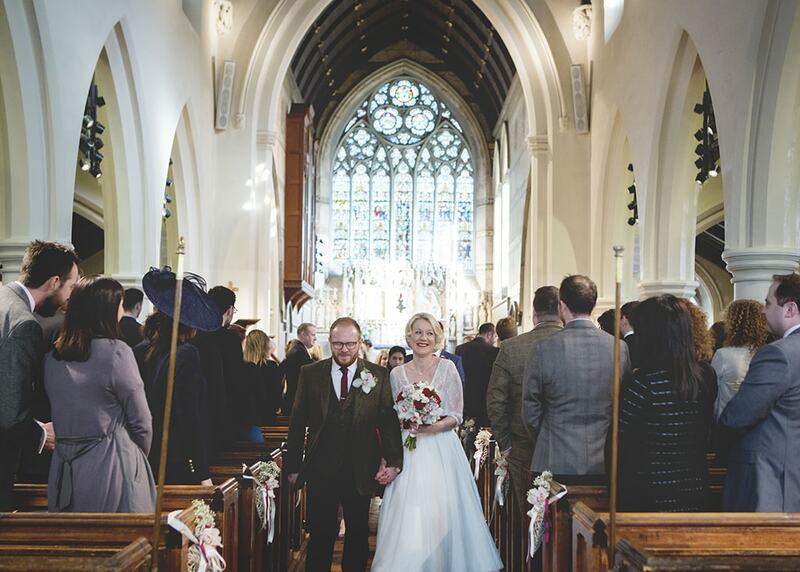 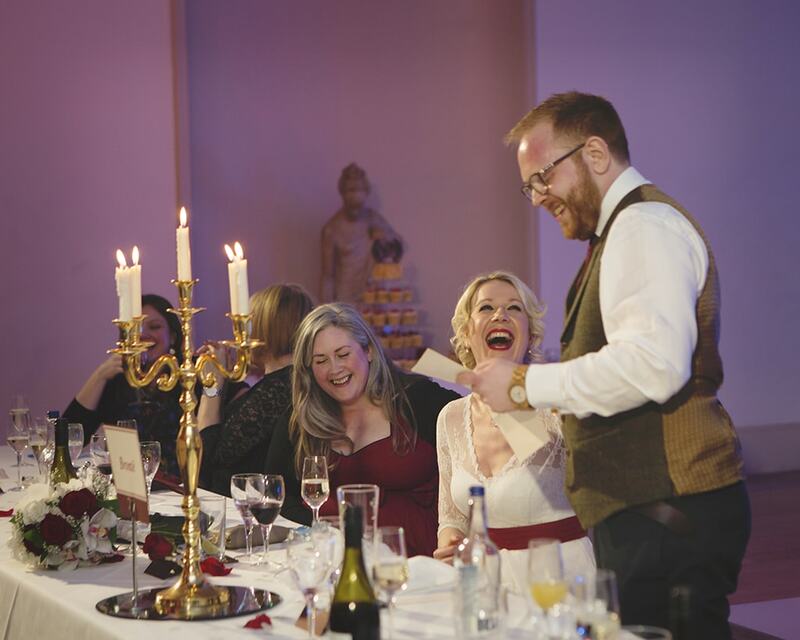 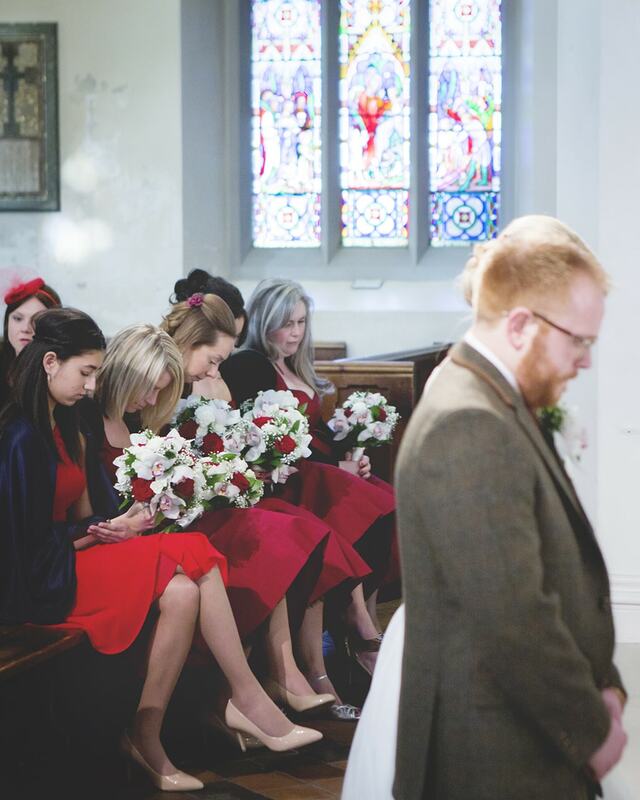 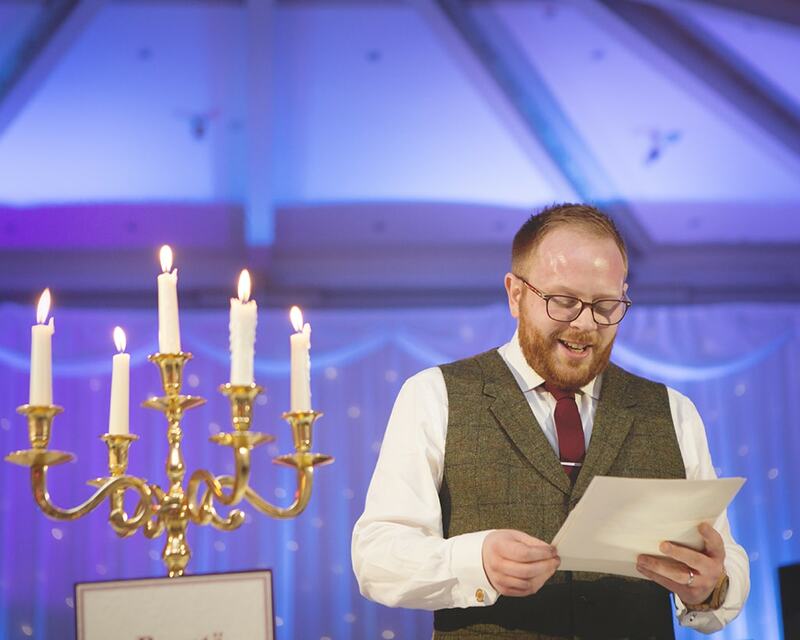 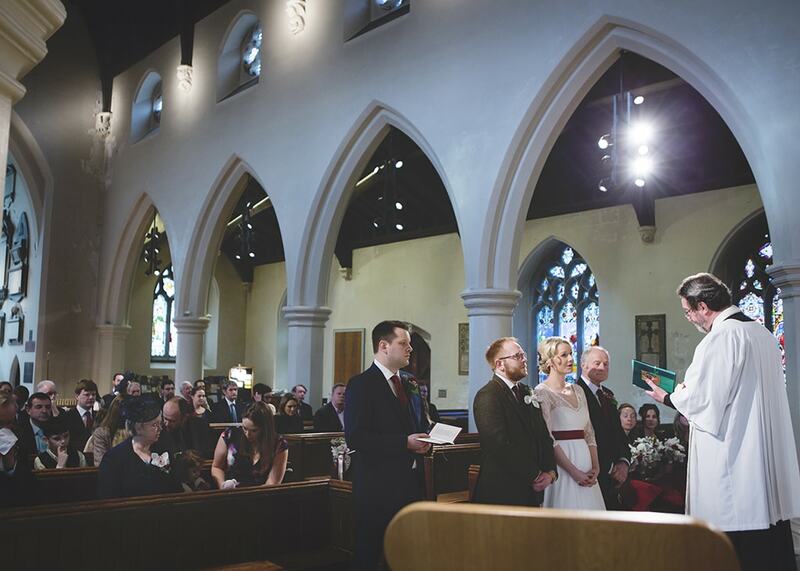 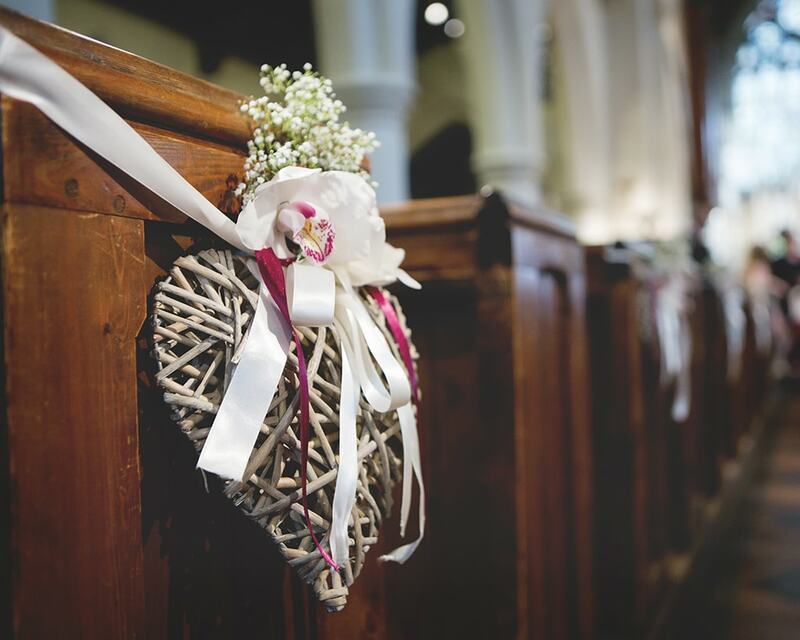 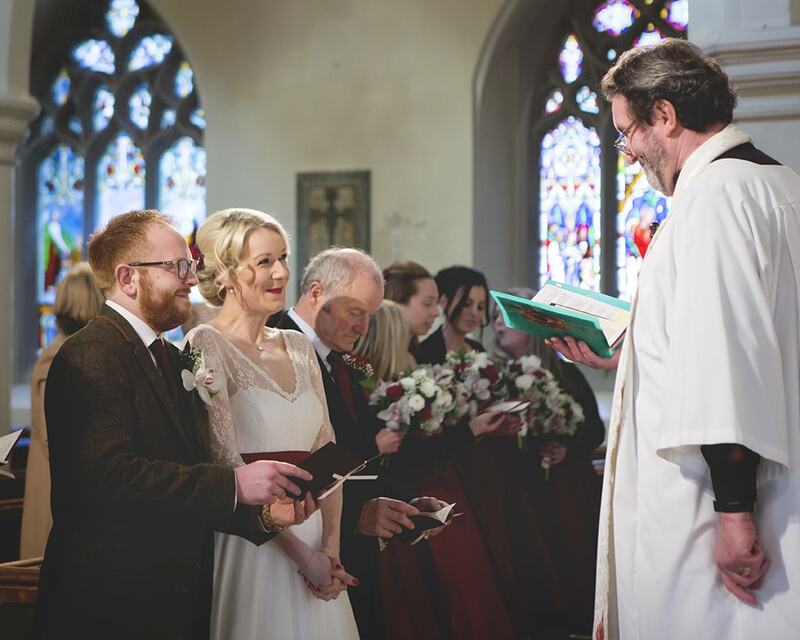 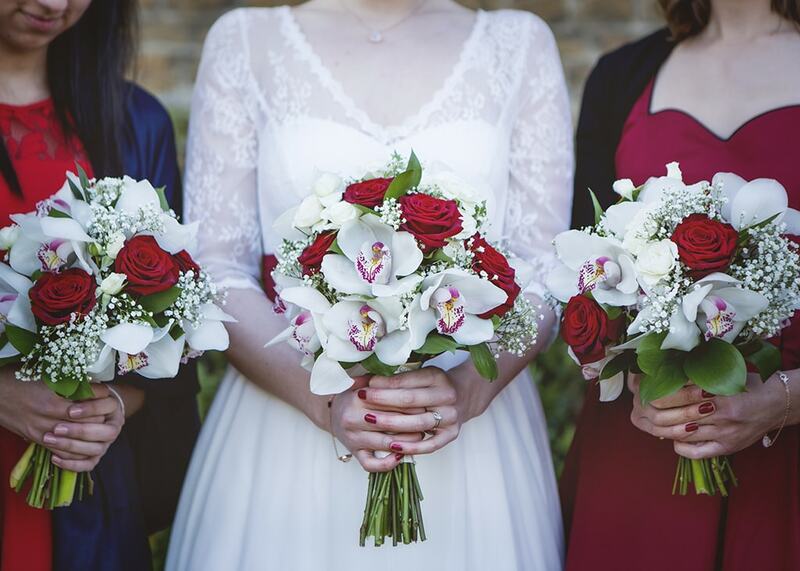 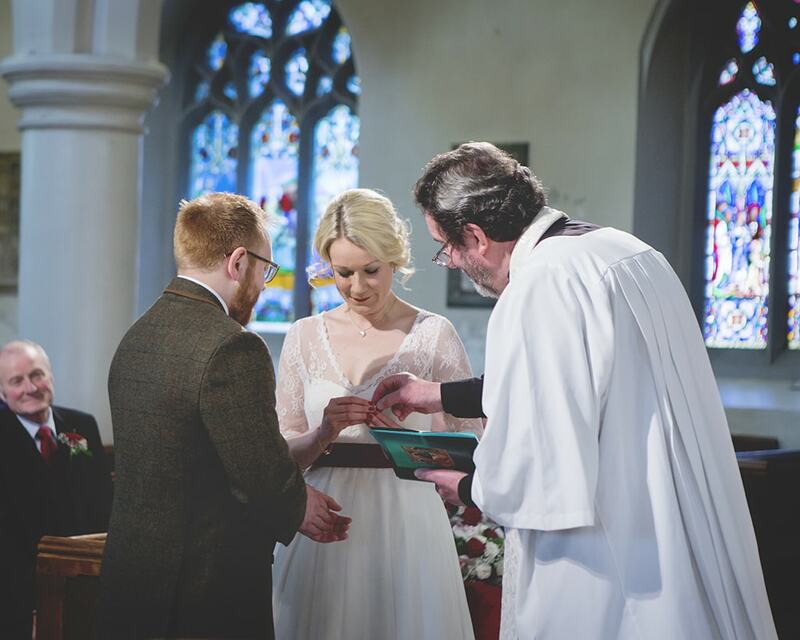 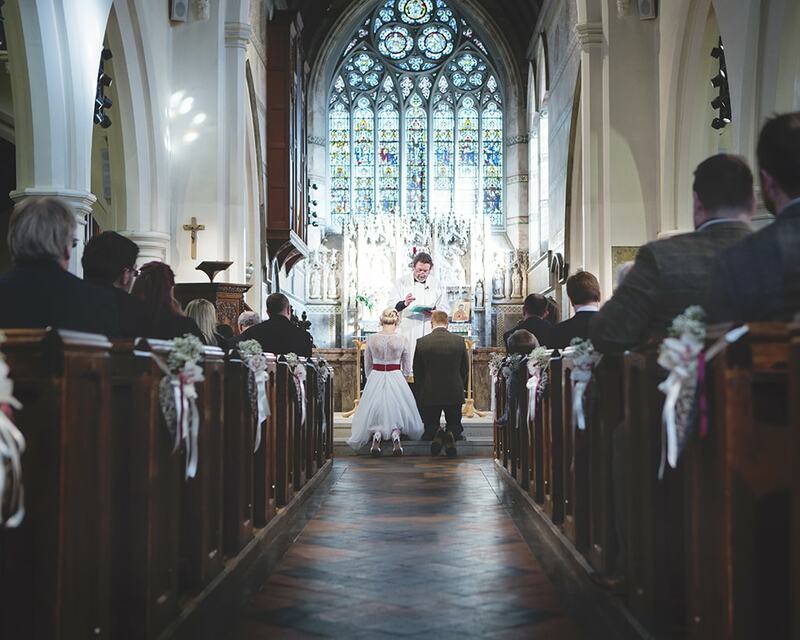 It’s difficult to choose one ‘best bit’; the ceremony was incredibly special and the reception was even better then we imagined, a particularly memorable moment would be the journey from the church to the venue. 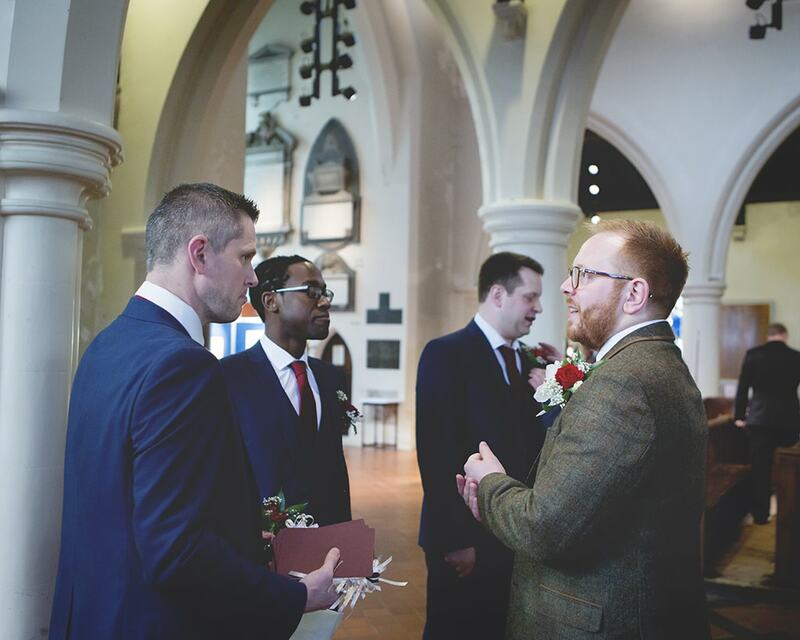 It was the first time Chris and I were alone together as a married couple and it gave us the chance to reflect on the day so far and let everything sink in. 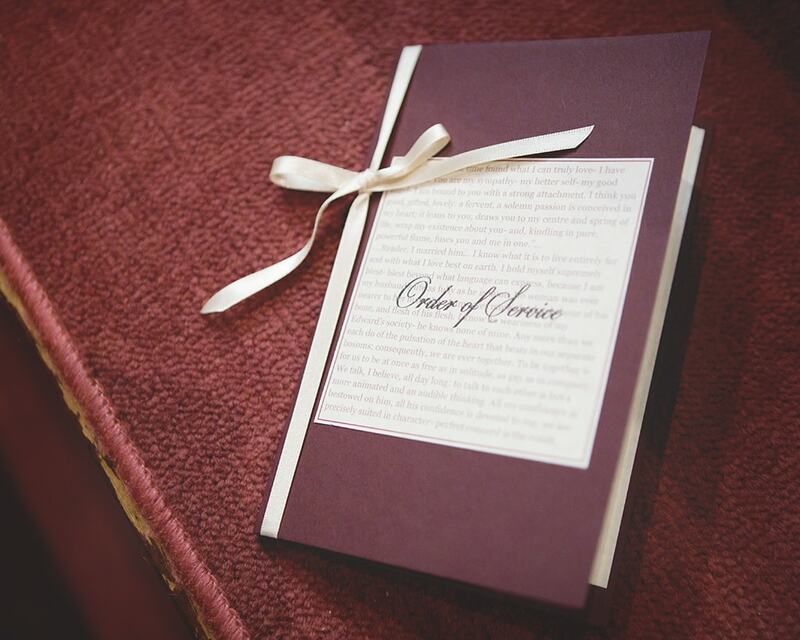 Enjoy everything from the planning, to the big day, to the years that follow: do as much of the planning together as you can. 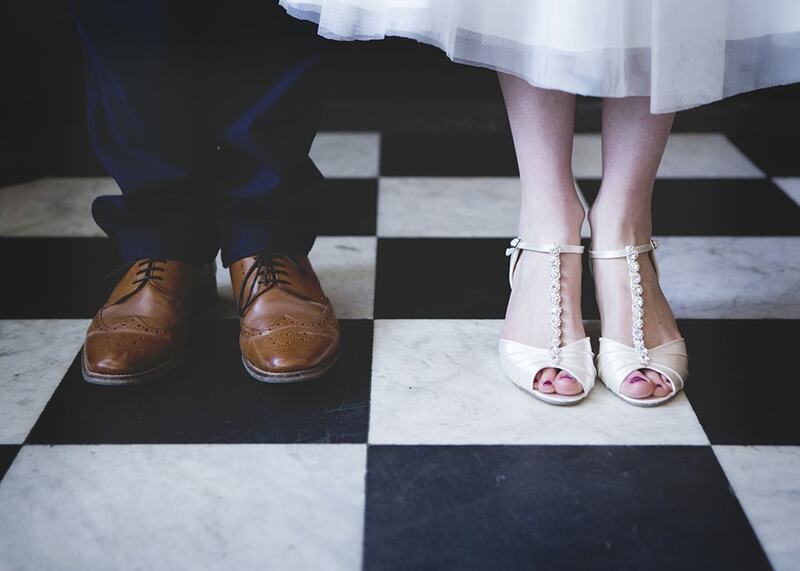 Also throughout the day, find opportunities to take a step back to savour the moment and, remind yourself that this incredibly happy day is a celebration of what is to come in your new life together. 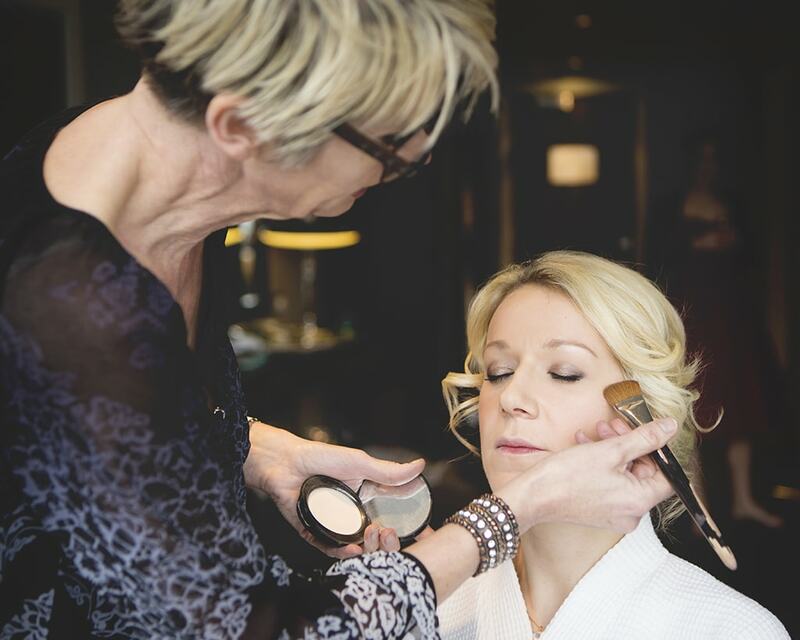 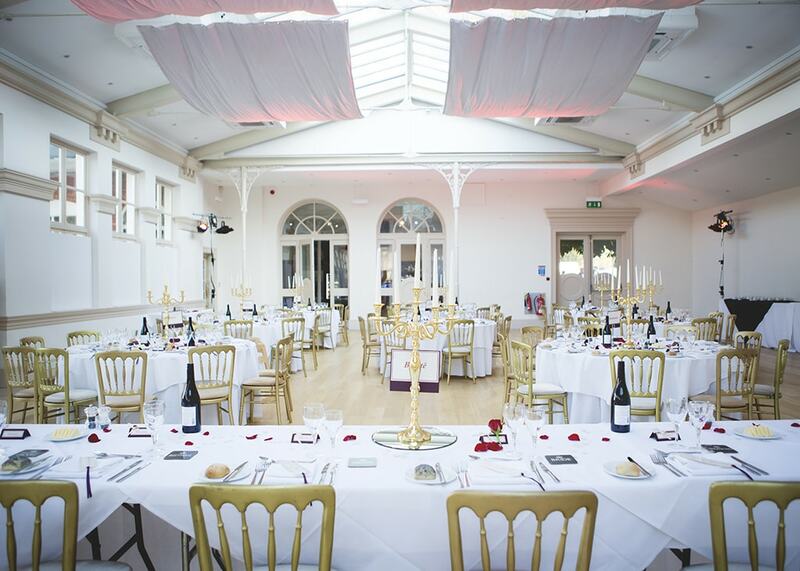 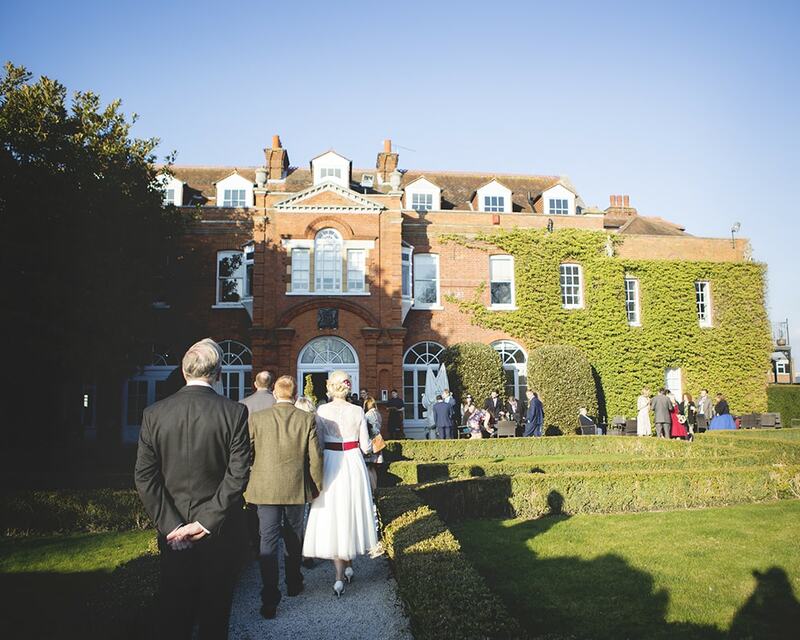 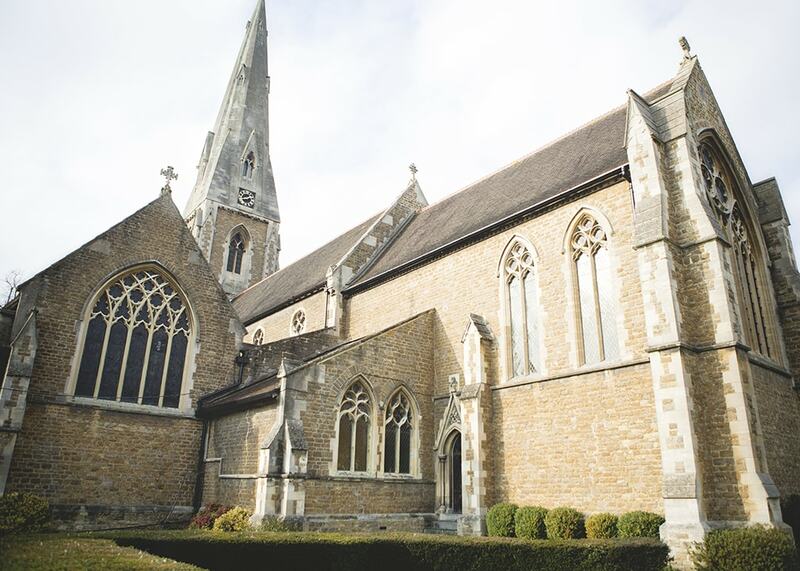 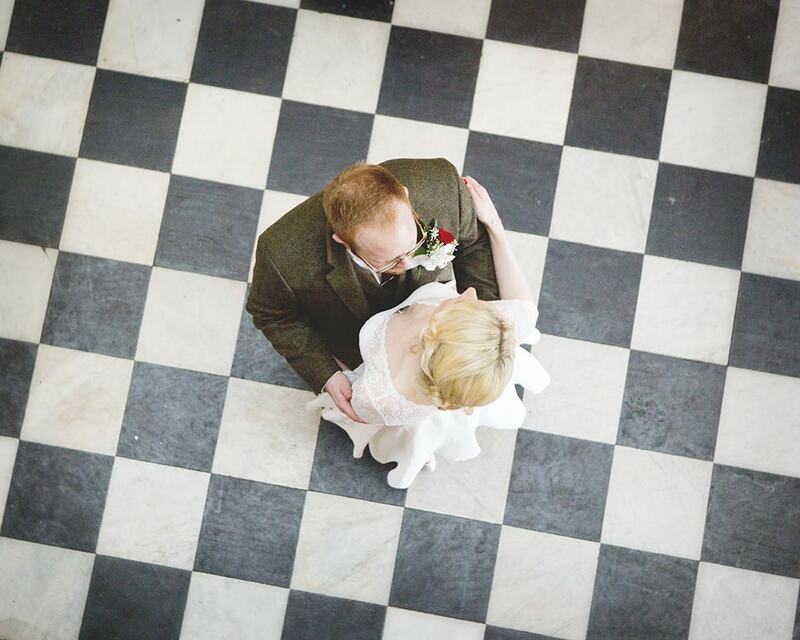 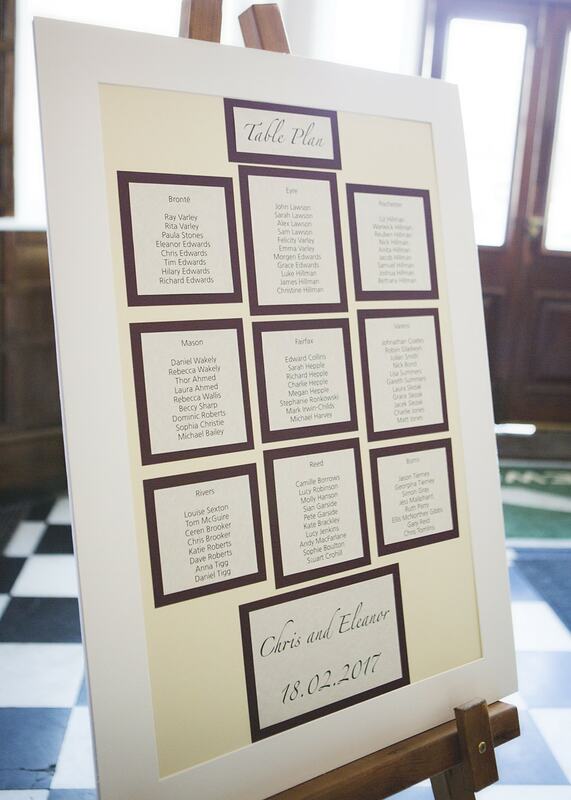 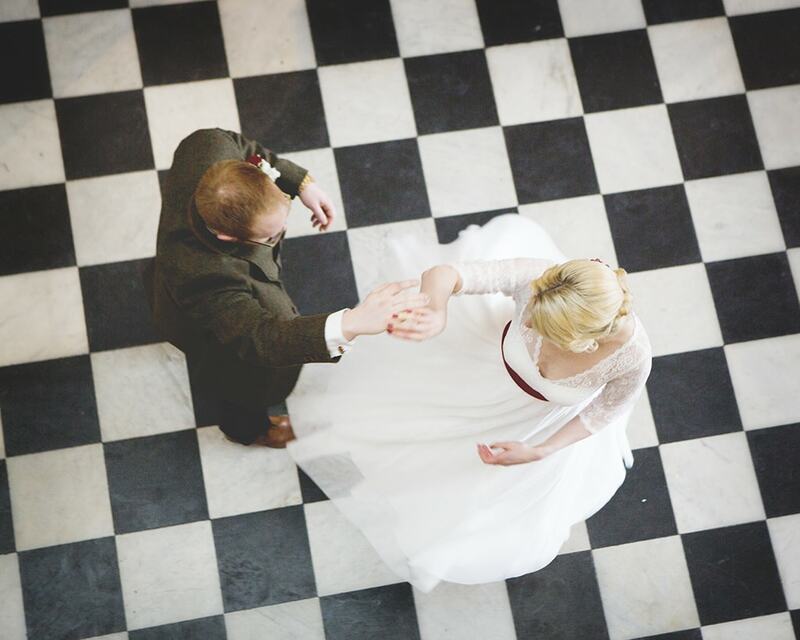 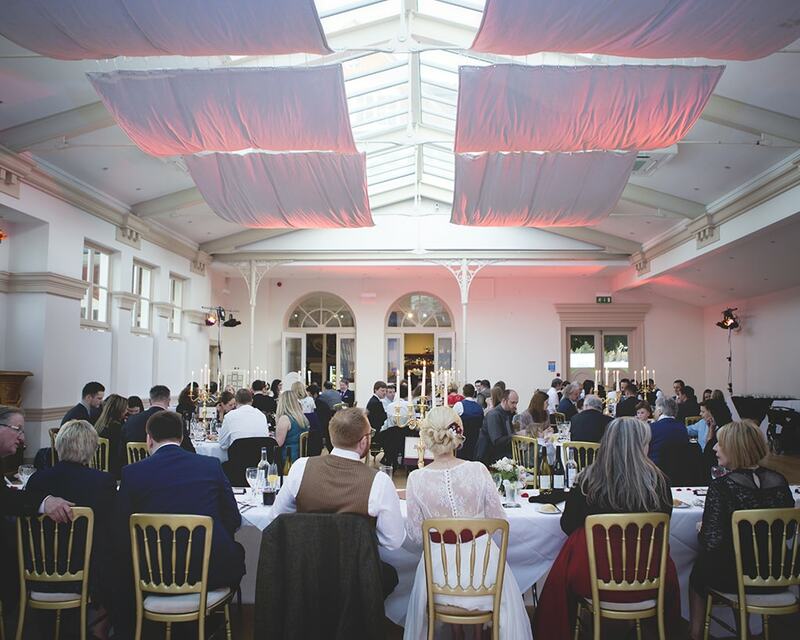 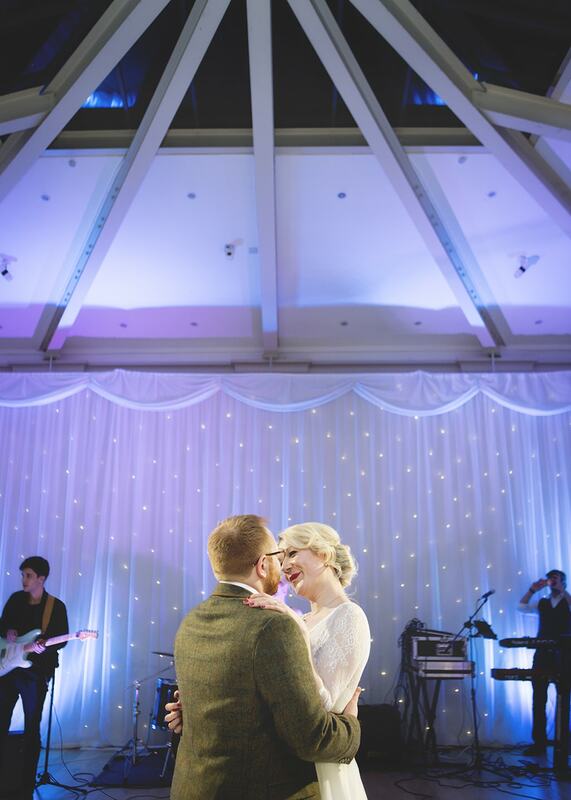 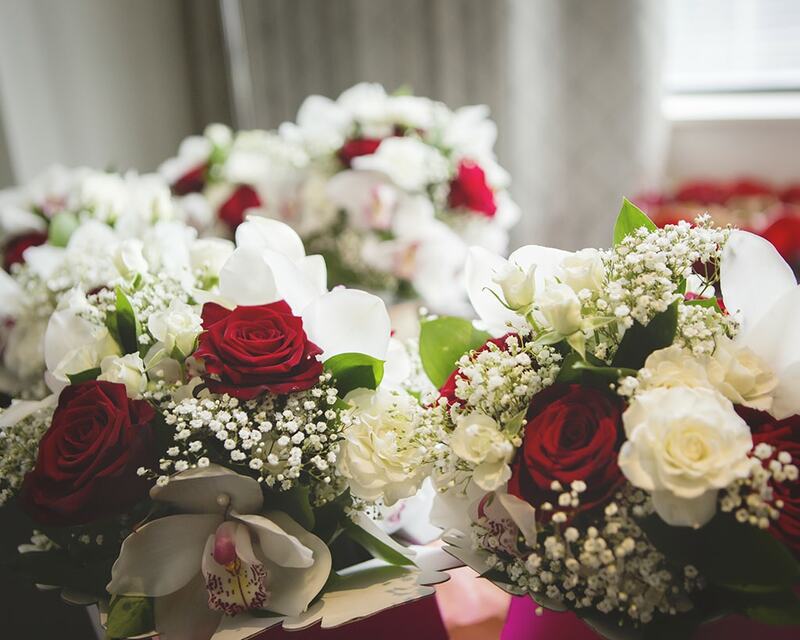 Venue – Ceremony – St James’ Church, Weybridge and Reception – Littleton Park House – Shepperton Studios. 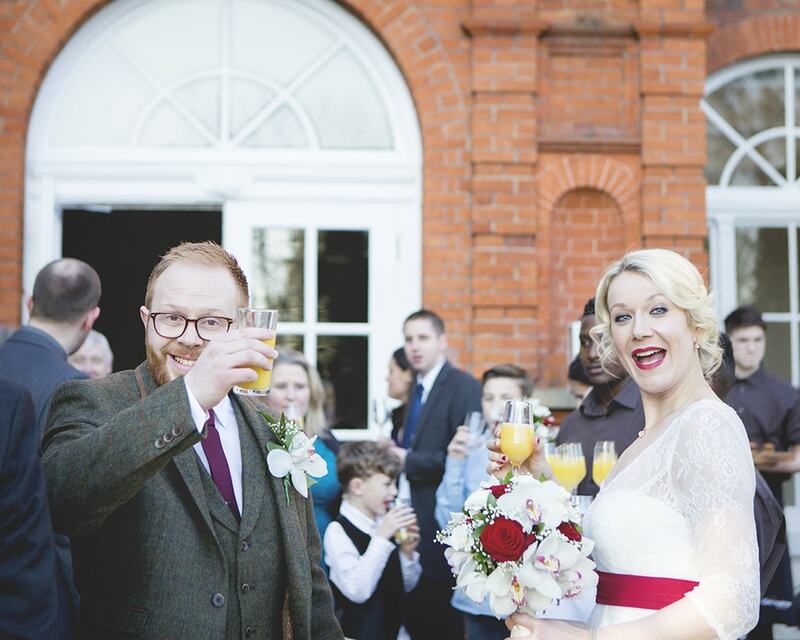 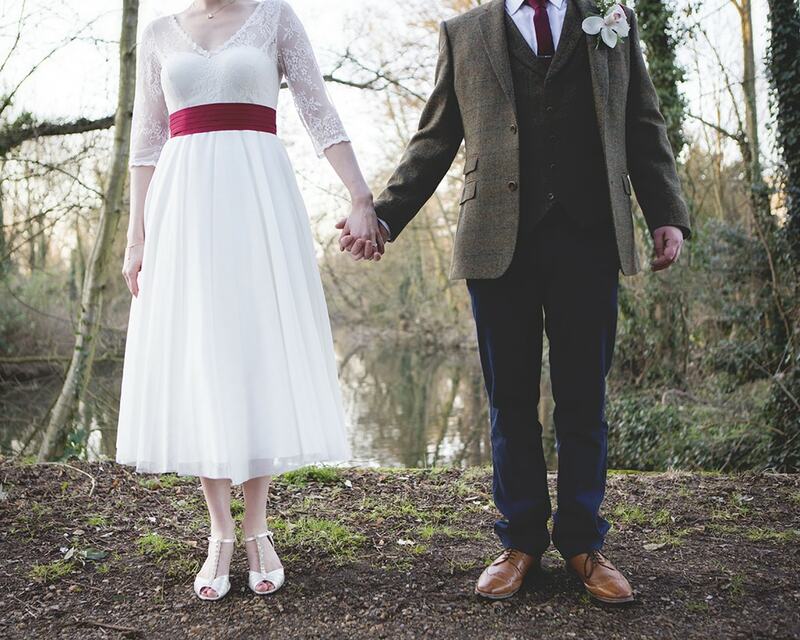 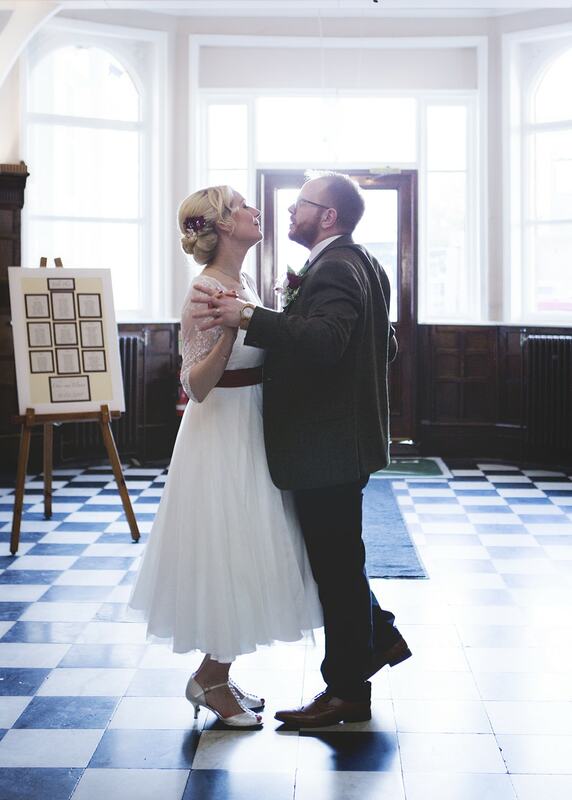 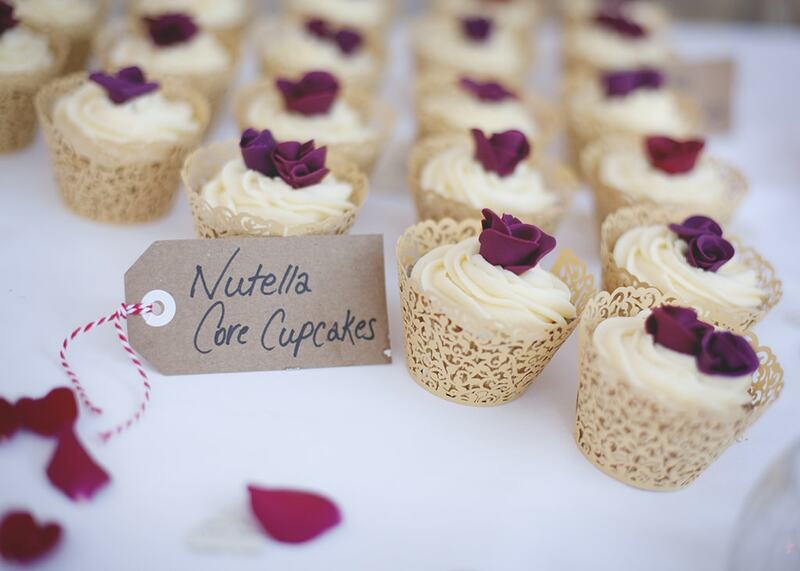 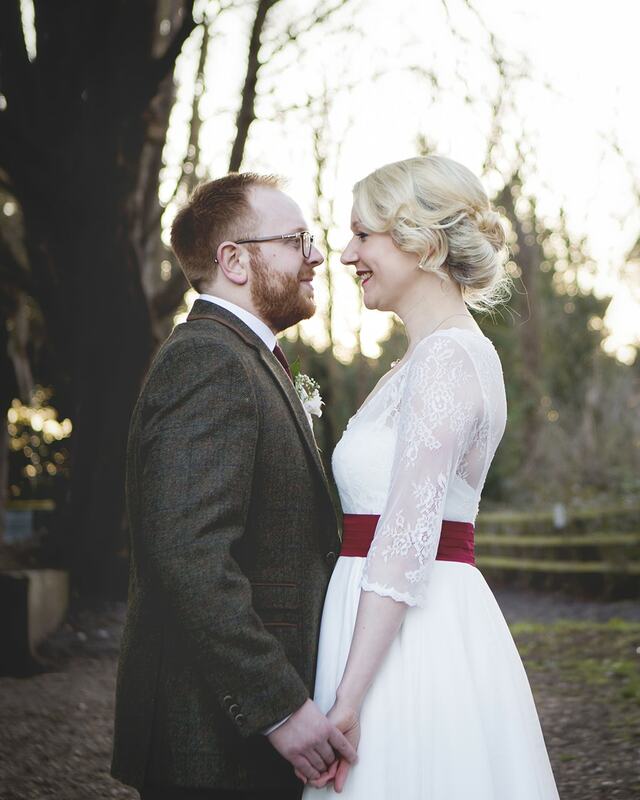 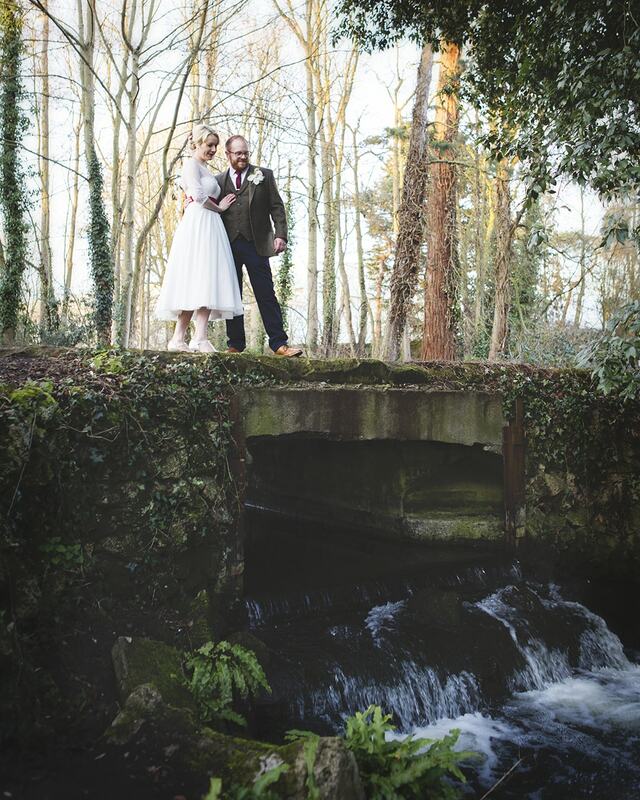 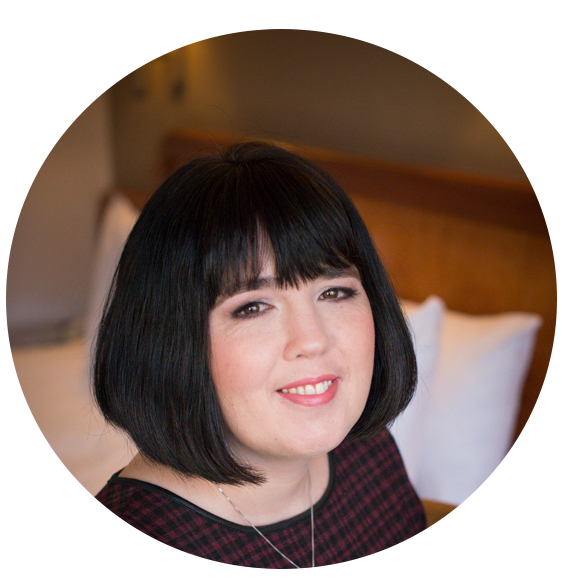 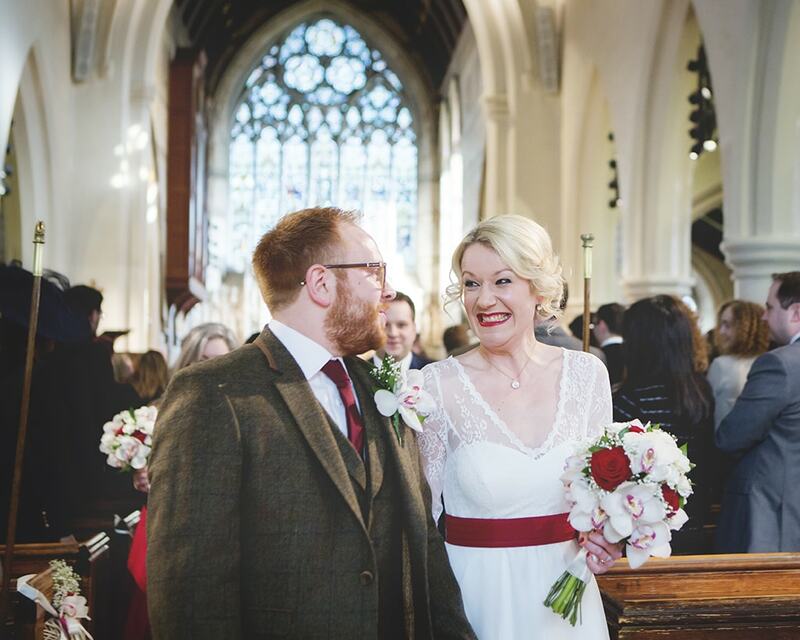 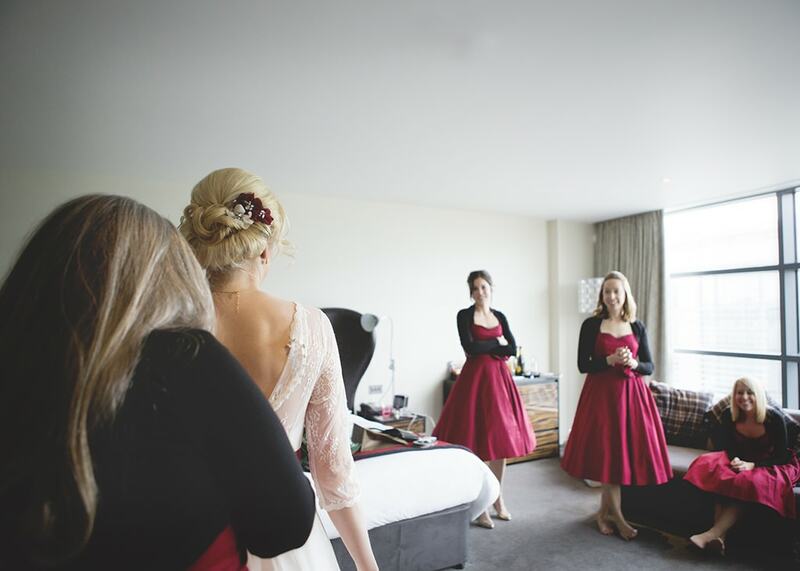 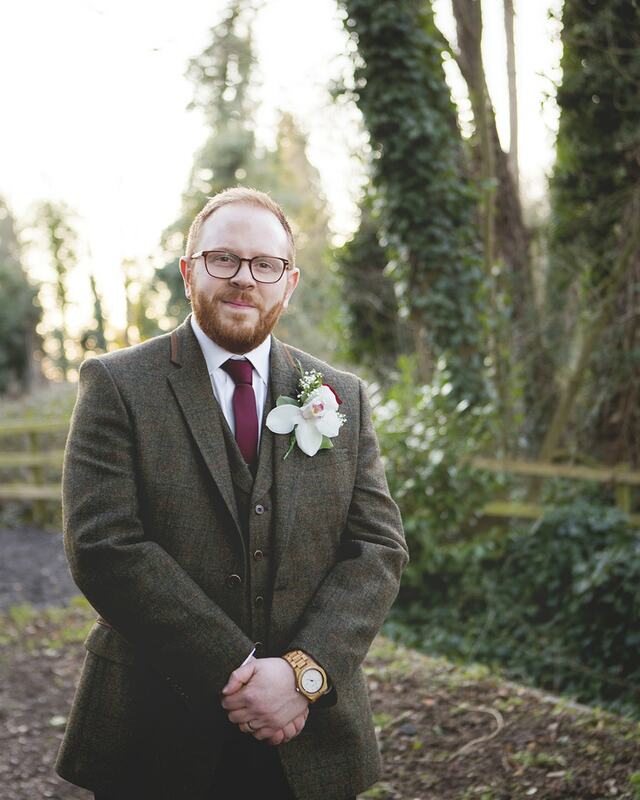 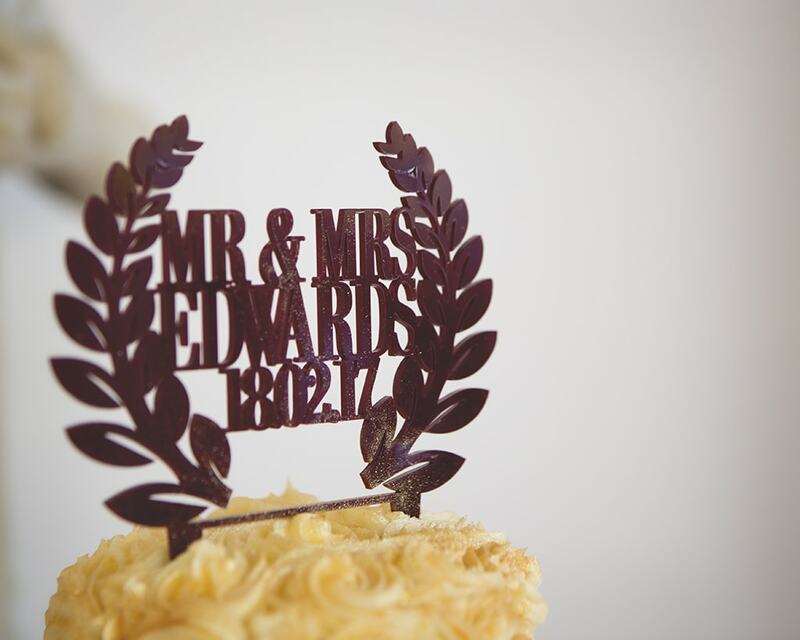 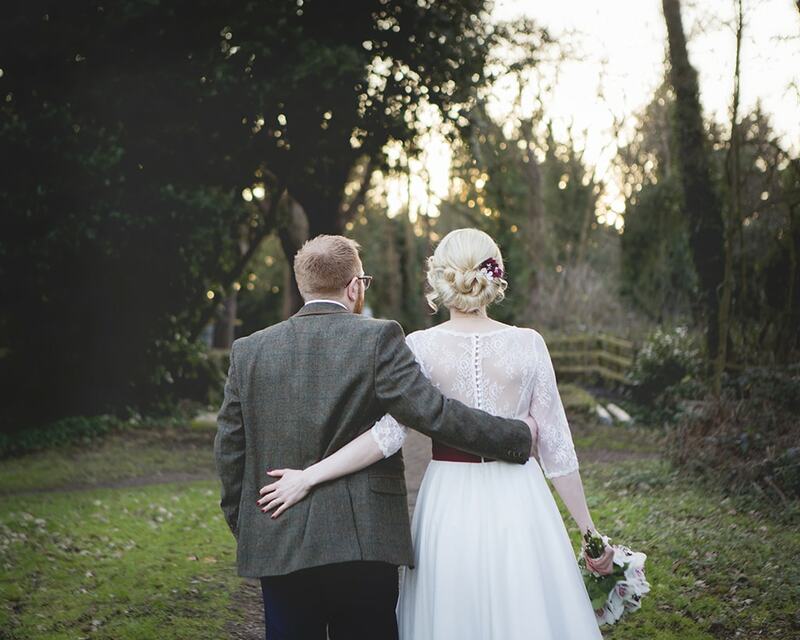 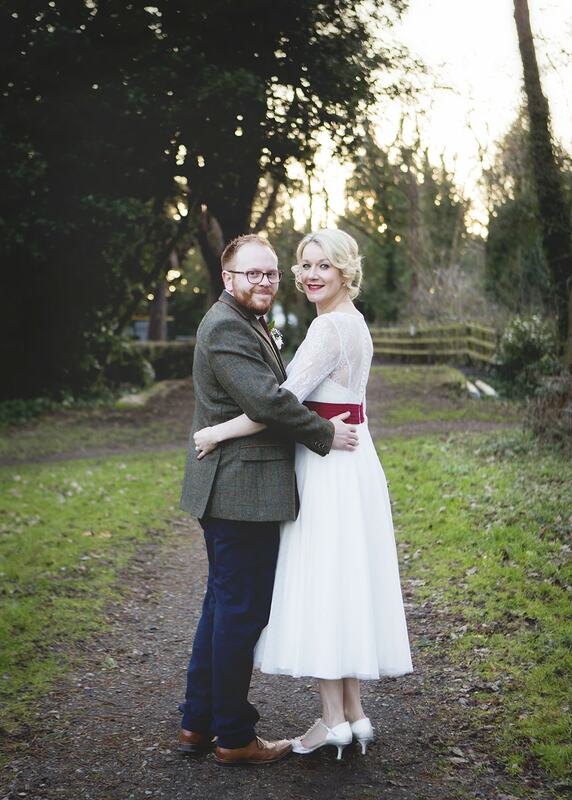 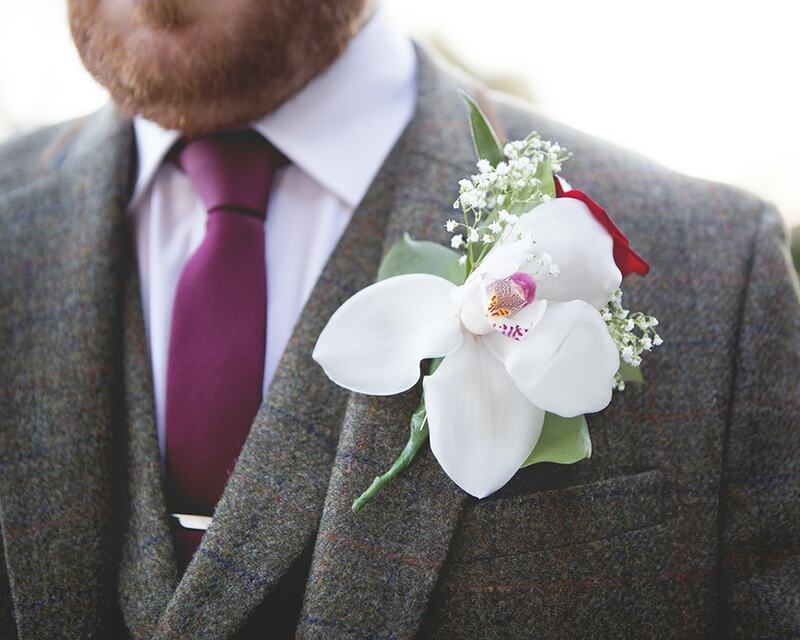 Suit Hire – Groom – Lequest and Groomsmen – Moss Bros.
Cake Maker – Our good friend Kate Brackley. 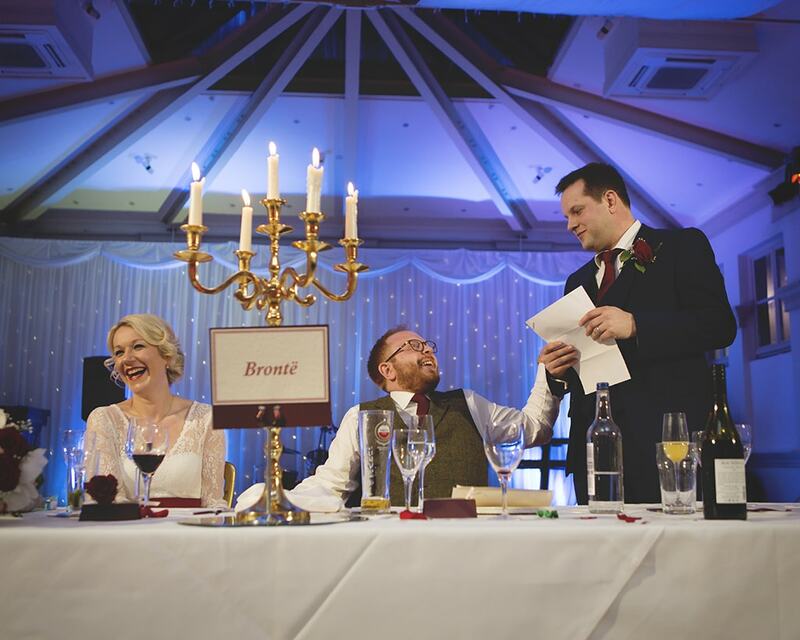 Stationery – various retailers on NOTHS, Grooms Mum and couple.